The best ginseng roots in Korea are culled and then cured into becoming Korean Red Ginseng. It is called the "King of Ginsengs," and considered to be the most yang stimulating variety, reputedly increasing energy and stamina. 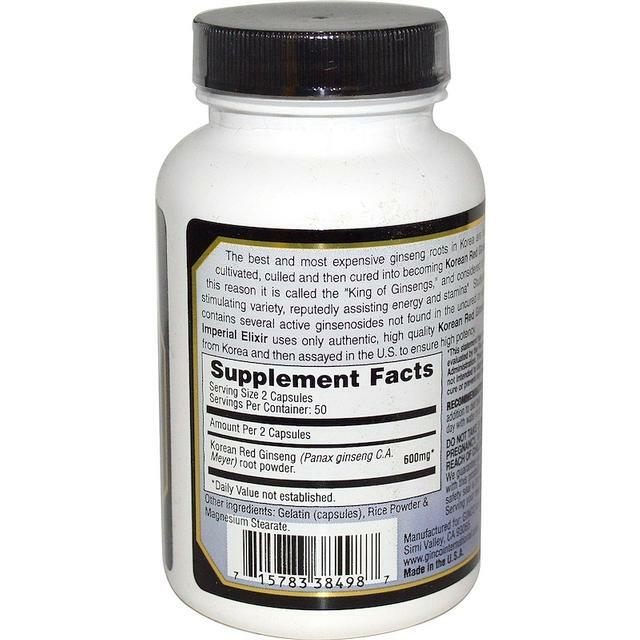 Studies show that it contains several ginsenosides not found in the uncured or white ginseng. Imperial Elixir uses only high quality Korean Red Ginseng purchased directly from Korea and then assayed in the U.S. to ensure high potency. 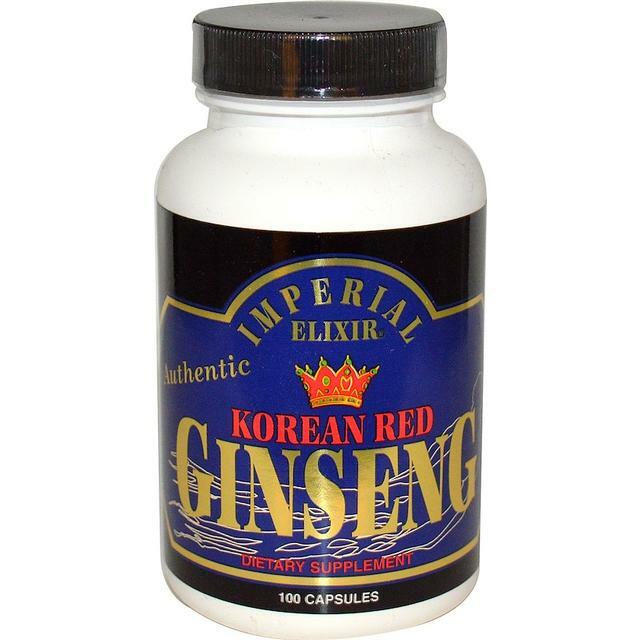 100 capsules per bottle: Each capsule contains 300mg of Korean Red Ginseng root powder.